With Pierfrancesco Gava, Ali Kazma, Inge Meijer. 24-28 April 2019, Osnabruck, Germany. together with Cana Bilir-Meier and Banu Karaca. A three-day programme about language, technology and post-truth curated by Maria Morata. Works by: Peggy Ahwesh, Peter Greenaway, John Latham, Virgile Fraisse, Harun Farocki, Allora & Calzadilla, Richard Serra & Nancy Holt, Jordi Colomer, eddie d, Peter Rose, John Smith and Katarina Zdjelar, VALIE EXPORT, Mathilde ter Heijne, Momu & No Es, Samson Young and Jean-Gabriel Périot. Screening curated by Almudena Escobar Lopez. With works by Parastoo and Faraz Anoushahpour, Mounira Al Sohl, Ja’Tovia Gary, Laura Huertas Millán, Beatriz Santiago Muñoz, and Colectivo los Ingrávidos. 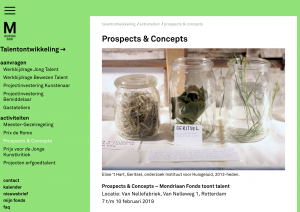 Prospects & Concepts, Art Rotterdam, The Netherlands. –> Note: I’ve withdrawn from this show and the artist talk. As part of my solo exhibition at PEER UK. 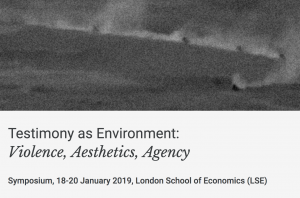 “Testimony as Environment: Violence, Aesthetics, Agency,” symposium curated and convened by Eray Çayl?. London School of Economics and Political Science (LSE), London, UK. & Tromsø Academy of Contemporary Art at UiT The Arctic University of Norway. Screening Launch: December 15, 2018 at Haus 22 of the former stasi headquarters Berlin, in the frame of wild recuperations. materials from below: Artistic Research at the Archive of the GDR-Opposition, a project by District Berlin and Robert Havemann Society, curated by Suza Husse and Elske Rosenfeld. D’EST: A Multi-Curatorial Online Platform for Video Art from the Former “East” and “West” is a project initiated by Ulrike Gerhardt with DISTRICT Berlin. Alternative Film/Video, curated by Greg de Cuir Jr. Screening program curated by Almudena Escobar Lopez, VTape, Toronto, Canada. IDFA, International Documentary Film Festival Amsterdam, The Netherlands. With artist Michelle Williams Gamaker (with her work House of Women) and Chloe Thorne (from Forensic Architecture’s The Destruction of Yazidi Heritage project). Autumn Meeting, Da Nang, Vietnam. 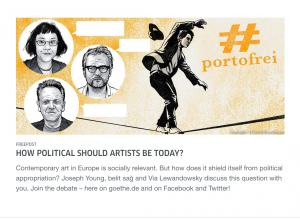 Digital-only discussion as part of Goethe Institute’s Freepost (Portofrei) Project, online. 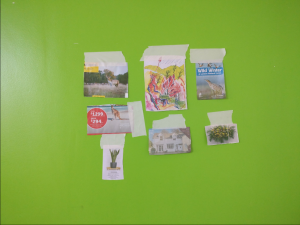 Freepost is a follow up project of Fragile Affinities Conference organized by IGBK in 2017. 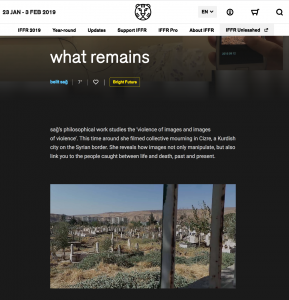 Dealing with state violence and erasure of perspectives through the use of images and archival research: Political anthropologist Banu Karaca, visual artists belit sa? and Cana Bilir-Meier in conversation about their artistic and research-based practices. program curated by Leo Goldsmith. Who’s afraid of the Archive? Interdisciplinary meetup for artists, scholars and archivists. Organized by ARIAS & Humanities Cluster (HuC), KNAW. IISG (International Institute of Social History), Amsterdam, The Netherlands. Image Control screening program, as part of THE VISIBLE SPECTRUM, a five-program film series. 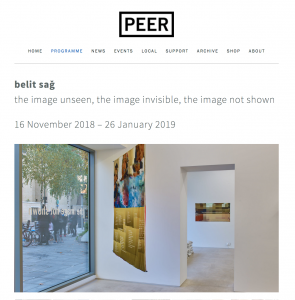 Between Sept 4 – October 2 2018, Curated by Chi-hui Yang & Jon-Sesrie Goff. John Gianvito, Sky Hopinka, Adam Khalil, Zach Khalil, Lemohang Jeremiah Mosese, Howardena Pindell, Monica Saviron, Cauleen Smith, Maryam Taforky. new performance and sound work together with Angela Jerardi. As part of Politics of Boredom conference event, organized by Aylin Kurel, Adam Gisborne, Helen Weeres. Corridor Project Space, Amsterdam, The Netherlands. Kaybolan Araci (Vanishing Mediator) curated by Aylime Asli Demir. krieg kuratieren curated by Ezgi Erol. 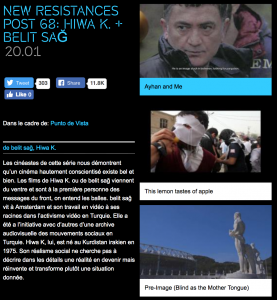 Fatos Irwen, Ihsan Oturmak, Songül Sönmez, Hito Steyerl. The Current // Truth exhibition curated by Tina Rivers Ryan. Extreme Rational Operating System with Andrzej Steinbach, Irma Blumstock, Katja Aufleger, Tim Heide. We Interrupt Regular Broadcasting to Bring You This Special Program! 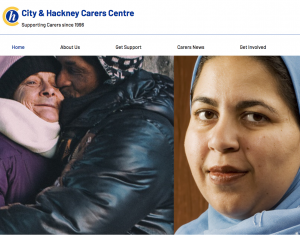 Curated for Stavros Niarchos Foundation, by Francesca Pietropaolo, Robert Storr, Barbara London and Kalliopi Minioudaki. As part of the SNF festival Nostos 2018 at the Stavros Niarchos Cultural Center, Athens, Greece. Rethinking Debates on Freedom of the Arts and its Limits, A talk by Banu Karaca. Photoresearcher Magazine no.29, essay by Lydia Nsiah on Ayhan and me amongst other works. Collaborative installation by Askin Ercan, belit sag, Rezzan Gümgüm and Seçil Yaylali. 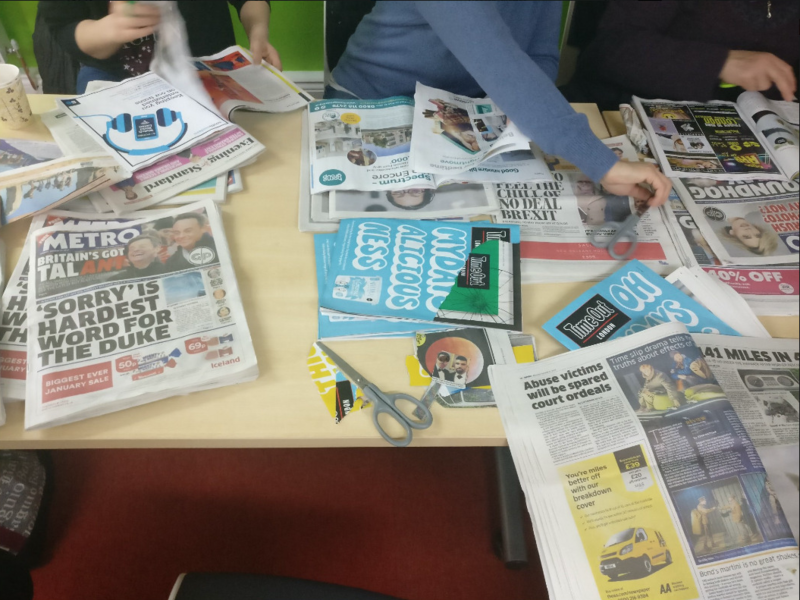 An evening session with Comparative Literature students on censorship and contemporary art (tutor Martin Sexl). Encounters/ Karsilasmalar, A Performative act in public space by belit sag & Rezzan Gümgüm. 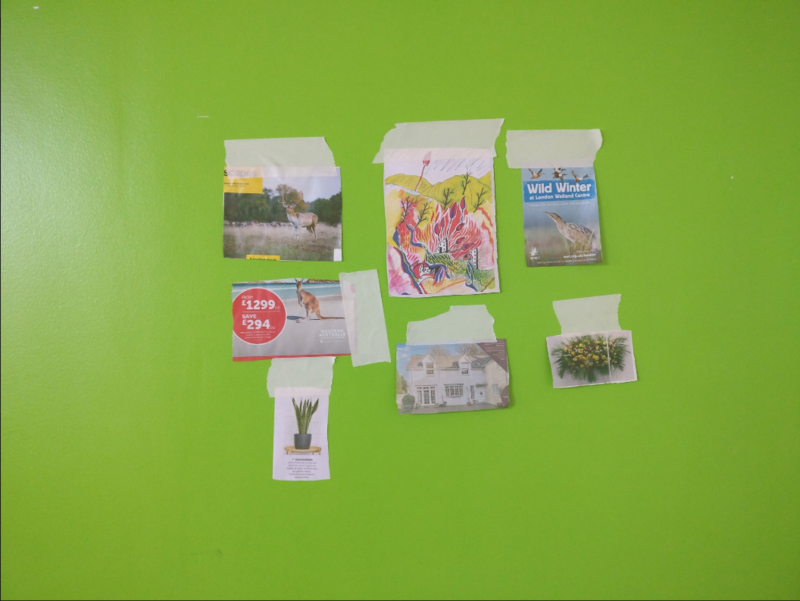 Common Visions curated by Almudena Escobar Lopez & Herb Shellenberger in The Guesthouse, Cork, Ireland. With François Bucher, Michelle Williams Gamaker, Moderated by Florian Wüst. With Eric Kluitenberg, Sven Lütticken, Ana Teixeira Pinto, Lioudmila Voropai, Marc Garrett. Moderated by Marc Garrett. Screening and talk as part of Concrete Truth: Art and the Documentary group show, together with Siddhartha Mitter on Thomas Rafa’s work. Together with a member of Colectivo Los Ingrávidos, program curated by Almudena Escobar Lopez & Herb Schellenberger, discussion moderated by Chi-hui Yang. with kind support of Iaspis funds. ‘Toplumsal bedenin hayalet organlari‘ (Phantom limbs of the societal body) article on the theme Talim Terbiye (edited by Baris Kilicbay) in KaosQ+ (LGBTQ magazine), tr.